Customized smart charger, charger's appearance and function can be customized. Accept OEM. A smart charger for customized. It is controlled by MCU and can charge all kinds of lithium or lead acid batteries. Various protections are completed. It has Germany TUV-GS、Hermes、SAA、CE 、CB、REACH and other safety certifications. This is a green energy-saving environmentally friendly product. 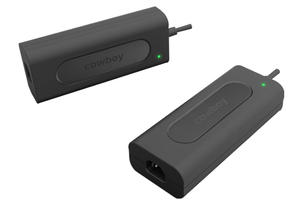 Customized smart charger, charger's appearance and function can be customized. Accept OEM. A smart charger for customized. It is controlled by MCU and can charge all kinds of lithium or lead acid batteries. Various protections are completed. It has Germany TUV-GS、Hermes、SAA、CE 、CB、REACH and other safety certifications. This is a green energy-saving environmentally friendly product.